Flow and fun are among the main attractions of the new Sunnegga-Trail – for beginners and pros alike. You’ll definitely want to ride it more than once. The Sunnegga-Trail is easily reached by rail: in Zermatt just take the funicular up to Sunnegga. Once at the top, there’s a glimpse of the Matterhorn and off you go. 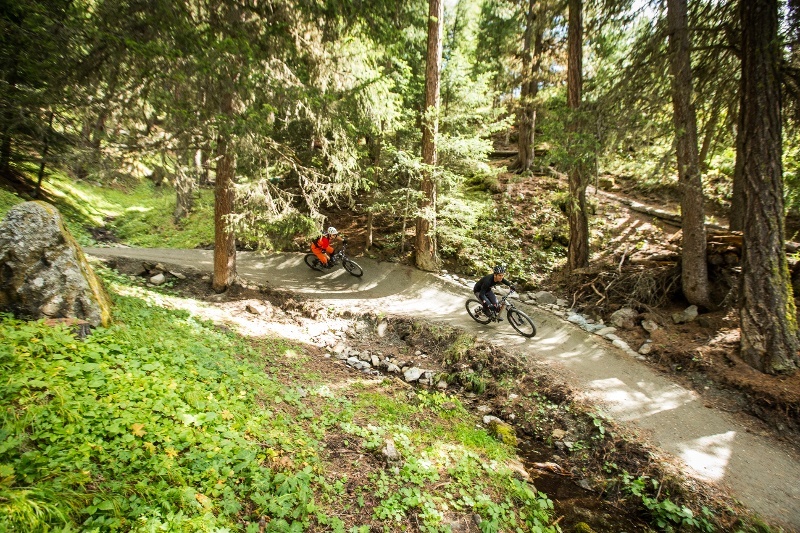 The trail starts directly beneath Sunnegga Station and it’s great for beginners and professionals alike. 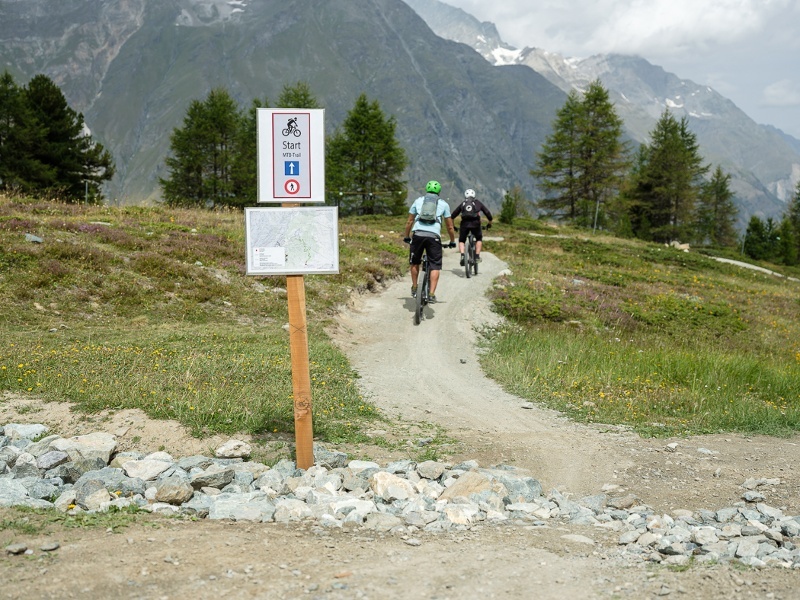 Follow the trail for around six kilometres, dropping a total of 500m, you’ll find yourself back above Zermatt after a 15-minute ride through the woods. 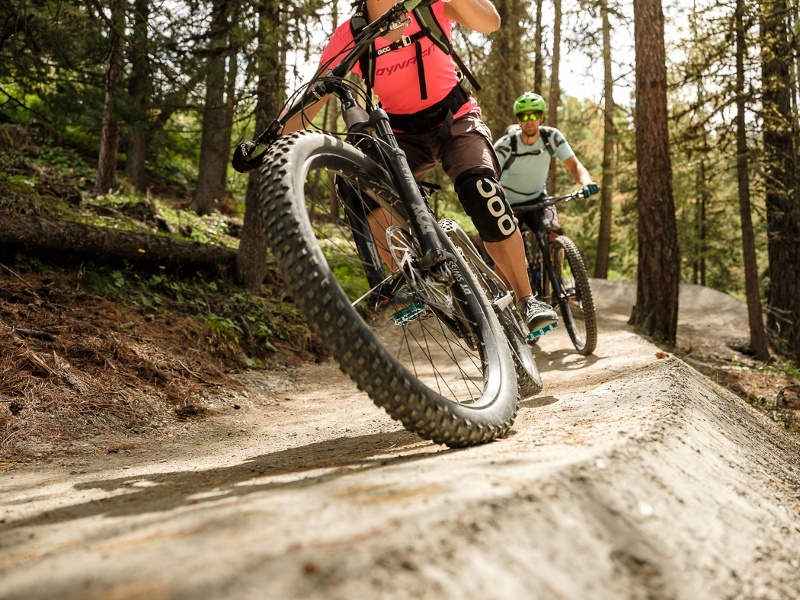 You can either tack the Sunnegga-Trail on to the end of a longer tour or simply ride the trail several times: it’s highly suitable for both options. 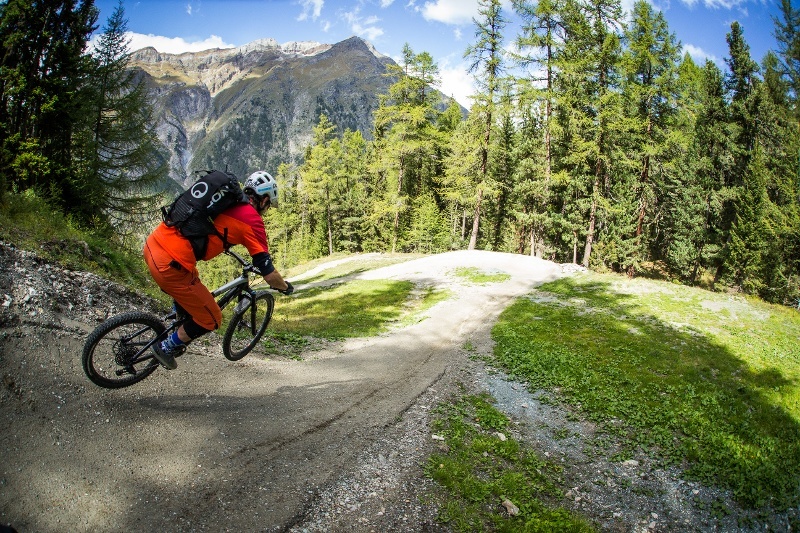 The best idea is to tackle this trail in several consecutive rides so as to test your sense of balance. After several rides it’s interesting to try to pedal as little as possible and use the momentum to come down into the valley.